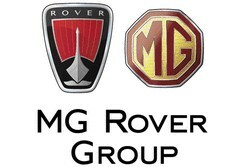 It's far lower than expected for the 6,500 workers laid off after MG Rover went bust and follows a seven-year battle. The compensation fund set up for the former workers had just £22,000 in the coffers, the Guardian reports - not the millions of pounds promised by MG Rover's owners in 2005. And hopes of securing a further £12.5m have just been dashed, after a legal case involving Halifax Bank of Scotland, one of the company's biggest creditors, was thrown out. The bad news was broken to the 6,500 ex staff earlier this week and campaigners are now calling for personal donations to the fund from the 'Phoenix Four' - the owners who bought the company for just £10 in 2000 and subsequently paid themselves and the MD a total of £42m. The disgraced quartet - Peter Beale, John Towers, Nick Stephenson and John Edwards - have since been banned from working as company directors for a total of 19 years. When Phoenix acquired Rover in May 2000, it had the enthusiastic backing of the then Labour government and the Rover workers. But the car firm lost hundreds of millions of pounds over the next few years, and sales began to slide. In March 2005, MG Rover sold 17% fewer cars compared to the same time a year before. A month later, it was forced to call in the receivers. But campaigners aren't holding out much hope for an attack of conscience from the former directors. 'As they have been ignoring my calls for four or five years, I'm not holding out much hope,' Carl Chinn, a trustee of the former employees' fund, said.